So, Facebook changed the algorithm again…. Firstly – don’t panic. Facebook has been making big changes to the algorithm for the last 5 years and every announcement has been accompanied by widespread panic, followed by a period of adjustment and then you adapt and forgot how things were in the first place. Take a deep breath, everything will be OK. The changes are going to roll out gradually (they’re currently goals for the newsfeed team to aim for) so the effects will most likely hit slowly and give us time to adjust. Heres a quick look at the announcements and what they mean for us small businesses. Announcement 1. 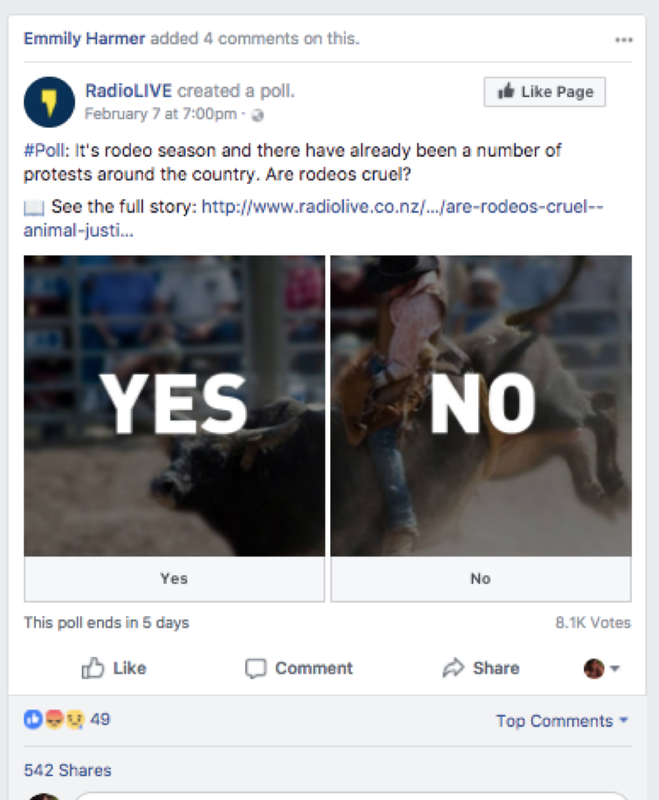 Down with engagement bait! 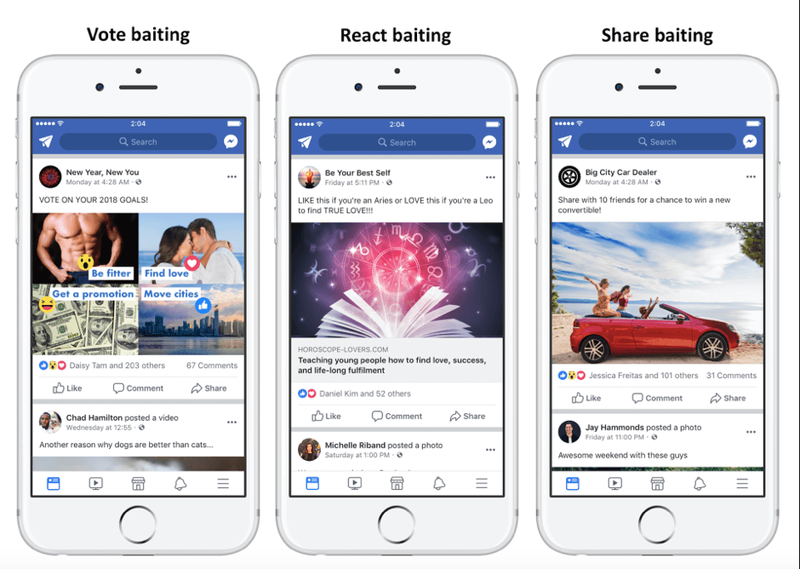 This is fairly straight-forward – don’t deliberately bait for likes, tags, reactions and shares just for the sake of it. Focus on content that naturally prompts a response without having to explicitly ask for it. This is a good thing! Posts like this do no good for anyone. Good post: A travel company posts a quote about travel buddies, it strikes a chord with their audience and results in loads of tagging friends. Unknown: Using other methods to prompt response without using the words "tag" explicitly...eg, tell your friends! My gut says is if this is done in an authentic manner after an announcement, a launch, important news, a competition etc then it will escape the claws of the algorithm. Asking people to "Share" definitely won't be OK - I've already seen boosted posts asking people to share being rejected. Announcement 2: It's conversation, baby. “We’ve recently gotten feedback that public content is crowding out the personal moments that lead us to connect more with each other…….you'll see less public content like posts from businesses, brands, and media. And the public content you see more will be held to the same standard -- it should encourage meaningful interactions between people. So, pages that contribute meaningful conversations between people and friends will be favoured over short engagement. If you already have an active community where comment and conversation frequently occur, you’ll probably notice very little difference. Well done. If conversation has been limited, here are some things to test/do now. • Analyse past content – what posts have sparked the most conversation? Can you do more of the same. • Focus on creating a community – who are you talking to, how do you make them feel part of your team? Identify their traits & motivations and create content that they will actually care about. • Tell people stories/share personal experiences – people are more likely to share their own stories when they feel they're talking to a human not a faceless brand. • Engage in conversations with followers (you know, be social). • Ask relevant questions/prompt discussion (this must be done in an authentic way - asking for advice, recommendations, opinions etc). Experiment with polls here where relevant (example below). • Incorporate live video – Facebook has said live videos encourage discussion. • And if you don't have time for any of this, save some budget to promote the important posts that need reach (ie/ those that will lead to greater awareness, sales or conversions). 8 things we learnt from the 2016 Internet trends report. Some highlights from Mary Meekers internet trend report. We're live with Facebook live - 6 ways you could use it for your business. How could you use Facebook Live for your business. Here are 6 examples to give you some ideas.